Lunchbox Dad: How to Make Spooky Spider Snacks for Halloween! These spiders just appeared out of nowhere! 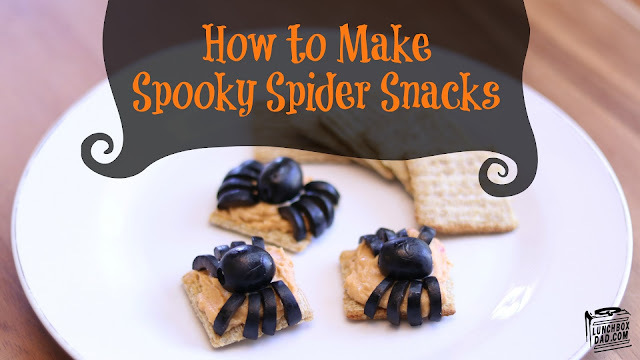 We came up with these Spooky Spider Snacks on a whim as we were planning another recipe. I just thought, we have crackers, hummus, and olives, what if we just put them together in a recipe? That would seem a little weird if it wasn't for Halloween I guess. So it all worked out for the best! Anyhow, you can easily put these together for your own Halloween get together. You just need the ingredients I listed above and to watch the video below. Happy Halloween!